In the Hindu religion, Ganapati, the elephant headed god, is worshipped as a deity who removes the obstacles of life. Ganapati worship is traditionally performed before the beginning of any task. Stories about Ganapati are both intellectually engaging and replete with lessons of morality. Pushpanjali: The dancers will offer floral respects to Lord Nataraja, the deity of dances and invite the patrons to the dance drama. beheading him in the process. 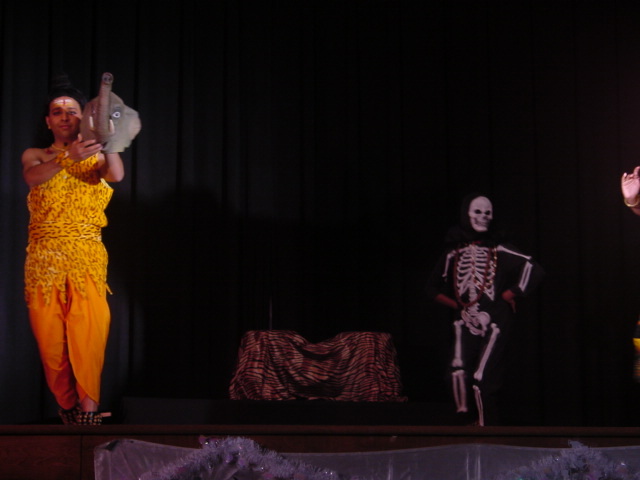 Parvati emerges from her meditation to find her son dead. 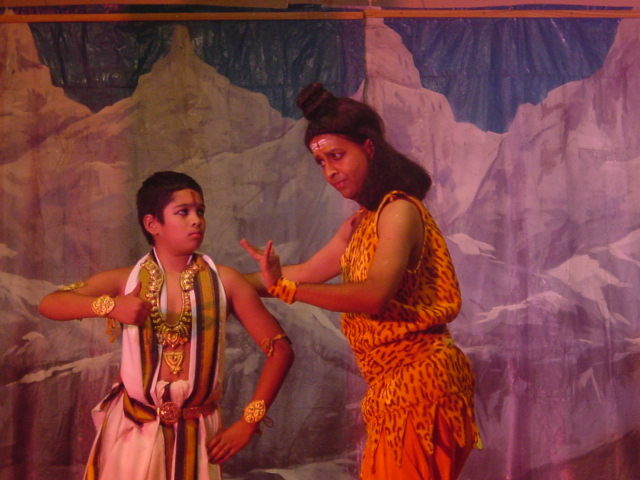 Upon learning that he has killed his own son, Shiva is full of remorse and gives life back to the young boy, using the head of an elephant. When Sage Narada visits their home with a mango fruit, both Ganapati and brother Shanmukha vie for it. Narada offers to give the fruit to one of them throwing a challenge.The challenge is to circle the world three times within short time. Shanmukha, who is slim and strong, rides out on his fleet vehicle - a peacock - to circle the world with great speed. Ganesha, larger of girth and slower of speed on his vehicle - a mouse, wisely circles his parents three times. For him, his parents are his world. Narada is thrilled by Ganesha's wisdom and declares him the winner. Chandra (Moon), is very proud of his beauty. He ridicules Ganesha's unusual physique and his vehicle - the mouse. 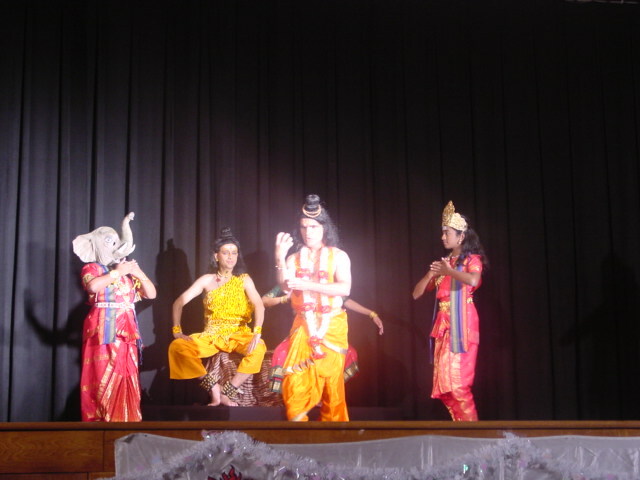 Ganapati is angered by Chandra's audacity and hurls a curse on him: "Chandra will not shine and be in eternal darkness". Chastened, Chandra repents and offers his apologies. Ganesha is somewhat placated and modifies his curse to allow the moon to wax and wane, thereby allowing it to shine on some nights. 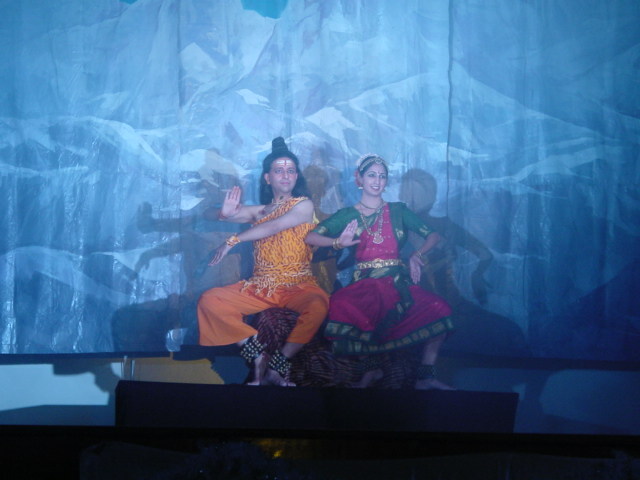 Tillana/Tarana is "Nritta" or pure dance. It portrays complex movements set to a fixed rhythm and melody. It combines multiple "adavu" (rhythmic foot movements) variations with full body movements. 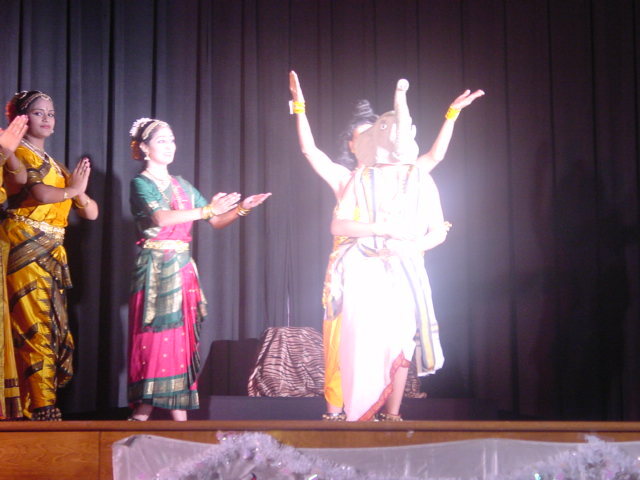 Kathak and Bharathanatyam styles are nicely collaborated in this piece providing a glimpse of two classical styles of India at the same time.